There’s no denying it. The beer climate is changing. Ironically enough, a beer founded on change has now become our longest running seasonal offering. 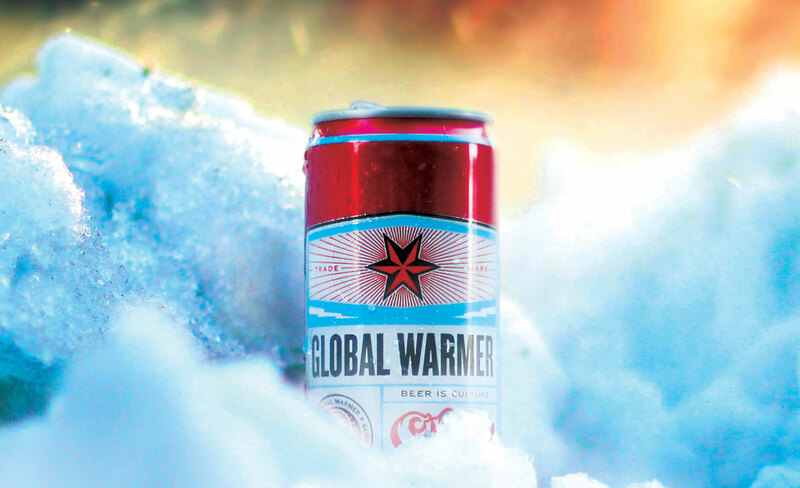 Global Warmer was actually the beer that got us re-thinking the seasonal program, and kick-started the Mad Science that is “Cycliquids,” our unpredictable, ever-rotating series of new formulations. 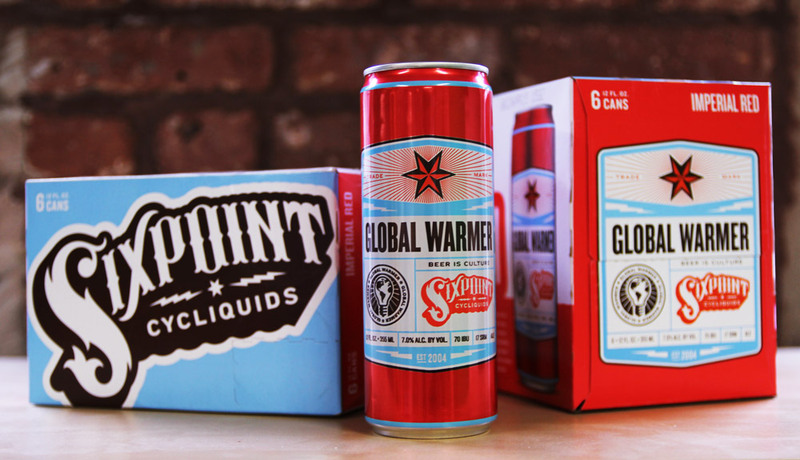 The craft beer scene is moving rapidly… think about the changes even since Global Warmer first landed in cans in 2013. But much of winter beer has stayed decidedly stuck in its tracks (frozen, if you will). Big sticky sippers dominate this time of year, oftentimes with spices. And hey, they have their time and place. But how about something you can slam all winter long? Enter Global Warmer, a winter creation that puts innovation side by side with tradition. 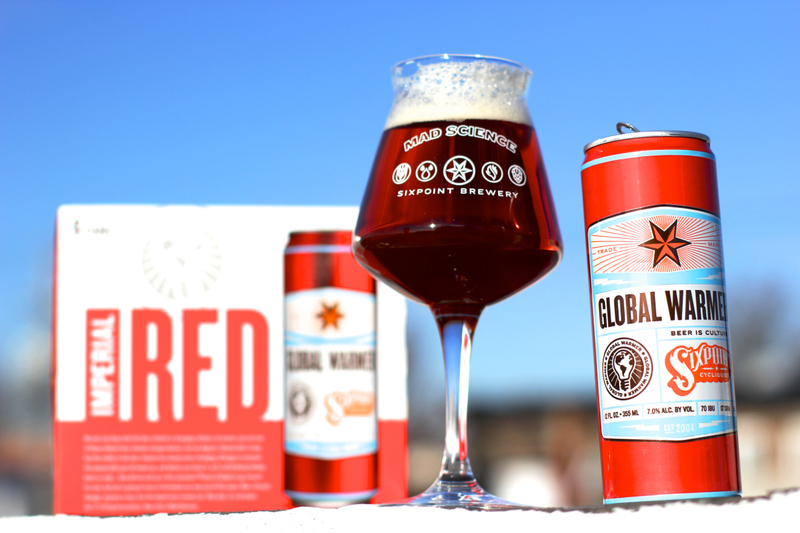 Water, malt, hops and yeast combine for a fiery red winter beer that’s raw and bold, and toasty enough to warm you through the winter. This year’s tweaked formulation continues to push the boundaries of winter beer. The aromatic, late-stage hopping in this beer is over-the-top juicy. The huge hop aroma is even more precise this year… massive fruit and citrus notes on the front end, and the beer finishes extra clean. No need to sip on Global Warmer – this is a full-flavored drinking beer to warm you through the winter. Shane Welch, President and Founder, put it simply. An evolving winter beer for a changing globe… now that’s Mad Science.